If you're into science, and especially physics, you've heard of arXiv, which has revolutionized how research in physics is shared. BioarXiv, SocArXiv and PaleorXiv followed, among others*. Well get excited, because today, at last, there is an open preprint server especially for earth science — EarthArXiv has landed! Congratulations to Chris and Tom, and everyone involved in EarthArXiv! It's very, very exciting to see this new piece of infrastructure for open access publishing. I urge you to join in! You can submit all your published work to EarthArXiv — as long as the journal's policy allows it — so you should make sure your research gets into the hands of the people who need it. I hope every conference from now on has an EarthArXiv Your Papers party. * Including snarXiv, don't miss that one! 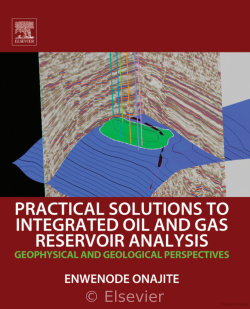 This morning a friend of mine, Fernando Enrique Ziegler, a pore pressure researcher and practitioner in Houston, let me know about an "interesting" new book from Elsevier: Practical Solutions to Integrated Oil and Gas Reservoir Analysis, by Enwenode Onajite, a geophysicist in Nigeria... And about 350 other people. What's interesting about the book is that the majority of the content was not written by Onajite, but was copy-and-pasted from discussions on LinkedIn. A novel way to produce a book, certainly, but is it... legal? Before you read on, you might want to take a quick look at the way the book presents the LinkedIn material. Check it out, then come back here. By the way, if LinkedIn wasn't so damn difficult to search, or if the book included a link or some kind of proper citation of the discussion, I'd show you a conversation in LinkedIn too. But everything is completely untraceable, so I'll leave it as an exercise to the reader. This is a good user agreement [Edit: see UPDATE, below]. It means everything you write on LinkedIn is © You — unless you choose to license it to others, e.g. 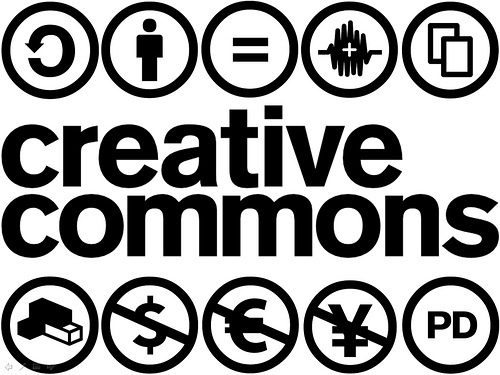 under the terms of Creative Commons (please do!). Fernando — whose material was used in the book — tells me that none of the several other authors he has asked gave, or were even asked for, permission to re-use their work. So I think we can say that this book represents a comprehensive infringement of copyright of the respective authors of the discussions on LinkedIn. Given the scale of this infringement, I think there's a clear lack of due diligence here on the part of the publisher and the editors. Having said that, while publishers are quick to establish their copyright on the material they publish, I would say that this lack of diligence is fairly normal. Publishers tend to leave this sort of thing to the author, hence the standard "Every effort has been made..." disclaimer you often find in non-fiction books... though not, apparently, in this book (perhaps because zero effort has been made!). But this defence doesn't wash: Elsevier is the copyright holder here (Onajite signed it over to them, as most authors do), so I think the buck stops with them. Indeed, you can be sure that the company will make most of the money from the sale of this book — the author will be lucky to get 5% of gross sales, so the buck is both figurative and literal. Incidentally, in Agile's publishing house, Agile Libre, authors retain copyright, but we take on the responsibility (and cost!) of seeking permissions for re-use. We do this because I consider it to be our reputation at stake, as much as the author's. OK, so we should blame Elsevier for this book. Could Elsevier argue that it's really no different from quoting from a published research paper, say? Few researchers ask publishers or authors if they can do this — especially in the classroom, "for educational purposes", as if it is somehow exempt from copyright rules (it isn't). It's just part of the culture — an extension of the uneducated (uninterested?) attitude towards copyright that prevails in academia and industry. Until someone infringes your copyright, at least. I notice that in the Acknowledgments section of the book, Onajite does what many people do — he gives acknowledgement ("for their contributions", he doesn't say they were unwitting) to some the authors of the content. Asking for forgiveness, as it were (but not really). He lists the rest at the back. It's normal to see this sort of casual hat tip in presentations at conferences — someone shows an unlicensed image they got from Google Images, slaps "Courtesy of A Scientist" or a URL at the bottom, and calls it a day. It isn't good enough: attribution is not permission. The word "courtesy" implies that you had some. Indeed, most of the figures in Onajite's book seem to have been procured from elsewhere, with "Courtesy ExxonMobil" or whatever passing as a pseudolicense. If I was a gambler, I would bet that the large majority were used without permission. The only courteous, professional and, yes, legal way to re-use copyrighted material — which is "anything someone created", more or less — is to seek written permission. It's that simple. A bit of a hassle? Indeed it is. Time-consuming? Yep. The good news is that you'll usually get a "Sure! Thanks for asking". I can count on one hand the number of times I've been refused. The copyrighted material already carries a license for re-use (as Agile does — read the footer on this page). The copyright owner explicitly allows re-use in their terms and conditions (for example, allowing the re-publication of single figures, as some journals do). The law allows for some kind of fair use, e.g. for the purposes of criticism. In these cases, you do not need to ask, just be sure to attribute everything diligently. A new low in scientific publishing? What now? I believe Elsevier should retract this potentially useful book and begin the long process of asking the 350 authors for permission to re-use the content. But I'm not holding my breath. By a very rough count of the preview of this $130 volume in Google Books, it looks like the ratio of LinkedIn chat to original text is about 2:1. Whatever the copyright situation, the book is definitely an uninspiring turn for scientific publishing. I hope we don't see more like it, but let's face it: if a massive publishing conglomerate can make $87 from comments on LinkedIn, it's gonna happen. What do you think about all this? Does it matter? Should Elsevier do something about it? Let us know in the comments. Elsevier is aware of these questions and is looking into it. Re-read the user agreement quote carefully. As Ronald points out below, I was too hasty — it's really not a good user agreement, LinkedIn have a lot of scope to re-use what you post there. It turns out that some people were asked for permission, though it seems it was unclear what they were agreeing to. So the author knew that seeking permission was a good idea. It also turns out that at least one SPE paper was reproduced in the book, in a rather inconspicuous way. I don't know if SPE granted rights for this, but the author at least was not identified. Some people are throwing the word 'plagiarism' around, which is rather a serious word. I'm personally willing to ascribe it to 'normal industry practices' and sloppy editing and reviewing (the book was apparently reviewed by no fewer than 5 people!). And, at least in the case of the LinkedIn content, proper attribution was made. For me, this is more about honesty, quality, and value in scientific publishing than about misconduct per se. It's worth reading the comments on this post. People are raising good points. Part of the thumbnail image was created by Jannoon028 — Freepik.com — and licensed CC-BY. 52 Things You Should Know About Rock Physics came out last week. For the first, and possibly the last, time a Fellow of the Royal Society — the most exclusive science club in the UK — drew the picture on the cover. The 353-year-old drawing was made by none other than Robert Hooke. The title page from Micrographia, and part of the dedication to Charles II. You can browse the entire book at archive.org. The drawing, or rather the engraving that was made from it, appears on page 92 of Micrographia, Hooke's groundbreaking 1665 work on microscopy. In between discovering and publishing his eponymous law of elasticity (which Evan wrote about in connection with Lamé's \(\lambda\)), he drew and wrote about his observations of a huge range of natural specimens under the microscope. It was the first time anyone had recorded such things, and it was years before its accuracy and detail were surpassed. The book established the science of microscopy, and also coined the word cell, in its biological context. Sadly, the original drawing, along with every other drawing but one from the volume, was lost in the Great Fire of London, 350 years ago almost to the day. I wonder if anyone else has ever described oolite as looking like the ovary of a herring? These thoughtful descriptions, revealing a profundly learned scientist, hint at why Hooke has been called 'England's Leonardo'. It seems likely that he came by the stone via his interest in architecture, and especially through his friendsip with Christopher Wren. By 1663, when it's likely Hooke made his observations, Wren had used the stone in the façades of several Cambridge colleges, including the chapels of Pembroke and Emmanuel, and the Wren Library at Trinity (shown here). Masons call porous, isotropic rock like Ketton stone 'freestone', because they can carve it freely to make ornate designs. Rock physics in action! Reflected light photomicrograph (left) and backscatter scanning electron microscope image (right) of Ketton Stone. Adapted from figures 2 and 3 of Hull (1997). Images are © Royal Society and used in accordance with their terms. I love that this book, which is mostly about the elastic behaviour of rocks, bears an illustration by the man that first described elasticity. Better still, the illustration is of a fractured rock — making it the perfect preface. Hall, M & E Bianco (eds.) (2016). 52 Things You Should Know About Rock Physics. Nova Scotia: Agile Libre, 134 pp. Hooke, R (1665). Micrographia: or some Physiological Descriptions of Minute Bodies made by Magnifying Glasses, pp. 93–100. The Royal Society, London, 1665. Hull, D (1997). Robert Hooke: A fractographic study of Kettering-stone. Notes and Records of the Royal Society of London 51, p 45-55. DOI: 10.1098/rsnr.1997.0005. We're proud to announce the latest book from Agile Libre. Woot! It's a pretty mouthwatering selection, even for someone like me who mostly thinks about seismic these days. There are another 46 like this. I can't wait to read them, and I've read them twice already. The words in these books are a gift from the authors — 48 of them in this book! — to the community. We cherish the privilege of reading them before anyone else, and of putting them out into the world. We hope they reach far and have impact, inspiring people and starting conversations. But we want these books to give back to the community in other ways too, so from each sale we are again donating to a charity. This time it's the Educational Trust of The Micropalaeontological Society. I read about this initiative in a great piece for Geoscientist by Haydon Bailey, one of our authors: Micropalaeontology under threat!. They need our community's support and I'm excited about donating to them. The book is in the late stages of preparation, and will appear in the flesh in about the middle of November. To make sure you get yours as soon as it's ready, you can pre-order it now. Save almost 25% off the cover price! I just found out that it's National Fossil Day in the US today. How's that for a coincidence? Sorry, I mean, how's that for a finely tuned marketing orchestration? You can follow the NFD action on Twitter. Why are these books so expensive? When will we start to see reproducibility? Does all this stuff just belong on the web? Should technical books really cost several times what ordinary books cost? Professors often ask us for discounts for modelr, our $9/mo seismic modeling tool. Students pay 10% of what pros pay in our geocomputing course. Yet academic books cost three times what consumer books cost. I know it's a volume game — but you're not going to sell many books at $100 a go! And unlike consumer books, technical authors usually don't make any money — a star writer may score 6% of net sales... once 500 books have been sold (see Handbook for Academic Authors). Compared to the amazing level of reproducibility we saw at SciPy — where the code to reproduce virtually every tutorial, talk, and poster was downloadable — books are still rather black box. For example, the figures are often drafted, not generated. A notable (but incomplete) exception is Chris Liner's fantastic (but ridiculously expensive) volume, Elements of 3D Seismology, in which most of the figures seem to have been generated by Mathematica. The crucial final step is to share the code that generated them, and he's exploring this in recent blog posts (e.g. right). Gary Mavko has shared a lot of MATLAB code associated with Quantitative Seismic Interpretation and The Rock Physics Handbook. The code to reproduce the figures is not provided, and MATLAB is not really open, but it's a start. William Ashcroft's excellent book, A Petroleum Geologist's Guide to Seismic Reflection contains (proprietary, Windows only) code on a CD, so you could in theory make some of the figures yourself. But it wouldn't be easy. The series of tutorials I'm coordinating for The Leading Edge has, so far, includes all code to reproduce figures, exclusively written in open languages and using open or synthetic data. Kudos to SEG! None of this comes close to Sergey Fomel's brand of fully reproducible geophysics. He is a true pioneer in this space, up there with Jon Claerbout. (You should definitely read his blog!). One thing he's been experimenting with is 'live' reproducible documents in the cloud. If we don't see an easy way to publish live, interactive notebooks in the cloud this year, we'll see them next year for sure. So imagine being able to read a technical document, a textbook say, with all the usual features you get online — links, hover-over, clickable images, etc. But then add the ability to not only see the code that produced each figure, but to edit and re-run that code. Or add slider widgets for parameters — "What happens to the gather if if I change Poisson's ratio?" Now, since you're on the web, you can share your modification with your colleagues, or the world. Now that's a book I'd be glad to pay double for. We'd love to know what you think of technical books. Leave a comment below, or get in touch. Do you purchase technical books regularly? What prompts you to buy a book? What book keeps getting pulled off your shelf, and which ones collect dust? What's missing from the current offerings? Workflows, regional studies, atlases,...? Would you rather just consume everything online? Do you care about reproducibility? The last post was our 400th on this blog. At an average of 500 words, that's about 200,000 words since we started at the end of 2010. Enough for a decent-sized novel, but slightly less likely to win a Pulitzer. In that time, according to Google, almost exactly 100,000 individuals have stopped by agilegeoscience.com — most of them lots of times — thank you readers for keeping us going! The most popular posts: Shale vs tight, Rock physics cheatsheet, and Well tie workflow. We hope you enjoy reading at least half as much as we enjoy writing. This is one of my favourite knowledge sharing stories. Thankfully, Last month The Leading Edge — the magazine of the SEG — started a new tutorial column, edited by me. Well, I say 'edited', I'm just the person that pesters prospective authors until they give in and send me a manuscript. Tad Smith, Don Herron, and Jenny Kucera are the people that make it actually happen. But I get to take all the credit. Make each tutorial reproducible by publishing the code that makes the figures. Make the words, the data, and the code completely open and shareable. To my delight and, I admit, slight surprise, they said 'Sure!'. So the words are published under an open license (Creative Commons Attribution-ShareAlike, the same license for re-use that most of Wikipedia has), the tutorials use open data for everything, and the code is openly available and free to re-use. Complete transparency. There's another interesting aspect to how the column is turning out. The first two episodes tell part of the story in IPython Notebook, a truly amazing executable writing environment that we've written about before. This enables you to seamlessly stich together text, code, and plots (left). If you know a bit of Python, or want to start learning it right now this second, go give wakari.io a try. It's pretty great. (If you really like it, come and learn more with us!). Read the first tutorial: Hall, M. (2014). Smoothing surfaces and attributes. The Leading Edge, 33(2), 128–129. doi: 10.1190/tle33020128.1. A version of it is also on SEG Wiki, and you can read the IPython Notebook at nbviewer.org. Do you fancy authoring something for this column? Wonderful — please do! Here are the author instructions. If you have an idea for something, please drop me a line, let's talk about how to make it relentlessly practical. When writing for print, it is common to be asked for a certain number of dots per inch, or dpi (or, equivalently, pixels per inch or ppi). For example, I've been asked by journal editors for images 'at least 200 dpi'. However, image files do not have an inherent resolution — they only have pixels. The resolution depends on the reproduction size you choose. So, if your image is 800 pixels wide, and will be reproduced in a 2-inch-wide column of print, then the final image is 400 dpi, and adequate for any purpose. The same image, however, will look horrible at 4 dpi on a 16-foot-wide projection screen. Rule of thumb: for an ordinary computer screen or projector, aim for enough pixels to give about 100 pixels per display inch. For print purposes, or for hi-res mobile devices, aim for about 300 ppi. If it really matters, or your printer is especially good, you are safer with 600 ppi. The effect of reducing the number of pixels in an image is more obvious in images with a lot of edges. It's clear in the example that downsampling a sharp image (a to c) is much more obvious than downsampling the same image after smoothing it with a 25-pixel Gaussian filter (b to d). In this example, the top images have 512 × 512 samples, and the downsampled ones underneath have only 1% of the information, at 51 × 51 samples (downsampling is a type of lossy compression). The other conundrum is how to get an image of, say, a seismic section or a map. What could be easier than a quick grab of your window? Well, often it just doesn't cut it, especially for data. Remember that you're only grabbing the pixels on the screen — if your monitor is small (or perhaps you're using a non-HD projector), or the window is small, then there aren't many pixels to grab. If you can, try to avoid a screengrab by exporting an image from one of the application's menus. For seismic data, you'd like to capture sample as a pixel. This is not possible for very long or deep lines, because they don't fit on your screen. Since CGM files are the devil's work, I've used SEGY2ASCII (USGS Open File 2005–1311) with good results, converting the result to a PGM file and loading into Gimp. Large seismic lines are hard to capture without decimating the data. Rockall Basin. Image: BGS + Virtual Seismic Atlas.If you have no choice, make the image as large as possible. For example, if you're grabbing a view from your browser, maximize the window, turn off the bookmarks and other junk, and get as many pixels as you can. If you're really stuck, grab two or more views and stitch them together in Gimp or Inkscape. The Lenna image is from Hall, M (2006). Resolution and uncertainty in spectral decomposition. First Break 24, December 2006, p 43-47. Welcome to the new book from Agile Libre! The newest, friendliest, awesomest book about petroleum geoscience. The book will be out later in November, pending review of the proof, but you can pre-order it now from Amazon.com at their crazy offer price of only $13.54. When it comes out, the book will hit Amazon.ca, Amazon.co.uk, and other online booksellers. It's truly a privilege to publish these essays. When an author hands over a manuscript, they are trusting the publisher and editors to do justice not just to the words, but to the thoughts inside. And since it's impossible to pay dozens of authors, they did it all for nothing. To recognize their contributions to the community, we're donating $2 from every book sale to the AAPG Foundation. Perhaps the students that benefit from the Foundation will go on to share what they know. 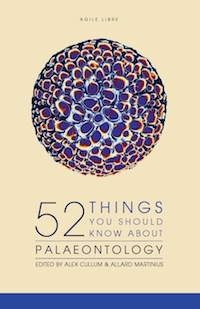 This book took a little stamina, compared to 52 Things... Geophysics. We started inviting authors on 1 July 2012, and it took 442 days to get all the essays. As before, the first one came almost immediately; this time it was from George Pemberton, maintaining the tradition of amazing people being great champions for these projects. Indeed, Tony Doré — another star contributor — was a big reason the book got finished. Even this short list samples some of the breadth of topics, and the range of experience of the contributors. Nichlas and Aruna are PhD students of Chris Jackson at Imperial College London, and Richard Hardman is a legend on the UK exploration scene, with over 50 years of experience. Between them, the 42 authors have notched up over 850 career-years — the book is a small window into this epic span of geological thinking. We're checking the proofs right now. The book should be out in about 2 weeks, just in time for St Barbara's day! Save more than 25% off the cover price! It's $13.54 today, but Amazon sets the final price... I don't know how long the offer will last. Our more-or-less regular news round-up is here again. News tips? On Monday the French geophysics company CGGVeritas announced a deal to buy most of Fugro's Geoscience division for €1.2 billion (a little over $1.5 billion). What's more, the two companies will enter into a joint venture in seabed acquisition. Fugro, based in the Netherlands, will pay CGGVeritas €225 million for the privilege. CGGVeritas also pick up commercial rights to Fugro's data library, which they will retain. Over 2500 people are involved in the deal — and CGGVeritas are now officially Really Big. As Evan mentioned in his reports from the SEG IQ Earth Forum, Statoil is releasing some of their Gullfaks dataset through the SEG. This dataset is already 'out there' as the Petrel demo data, though there has not yet been an announcement of exactly what's in the package. We hope it includes gathers, production data, core photos, and so on. The industry needs more open data! What legacy dataset could your company release to kickstart innovation? Again, as Evan reported recently, SEG is launching a new peer-reviewed, quarterly journal — Interpretation. The first articles will appear in early 2013. The journal will be open access... but only till the end of 2013. Perhaps they will reconsider if they get hundreds of emails asking for it to remain open access! Imagine the impact on the reach and relevance of the SEG that would have. Why not email the editorial team? In another dabble with openness, The Leading Edge has opened up its latest issue on reserves estimation, so you don't need to be an SEG member to read it. Why not forward it to your local geologist and reservoir engineer? It's all about SEG this month! The SEG is appealing for help revising the SEG-Y standard, for its revision 2. If you've ever whined about the lack of standardness in the existing standard, now's your chance to help fix it. If you haven't whined about SEG-Y, then I envy you, because you've obviously never had to load seismic data. This is a welcome step, though I wonder if the real problems are not in the standard itself, but in education and adoption. The SEG-Y meeting is at the Annual Meeting, which is coming up in November. The technical program is now online, a fact which made me wonder why on earth I paid $15 for a flash drive with the abstracts on it. We've written before about CLAS, a new OpendTect plug-in for well logs and petrophysics. It's now called CLAS Lite, and is advertised as being 'by Sitfal', though it was previously 'by Geoinfo'. We haven't tried it yet, but the screenshots look very promising. This regular news feature is for information only. We aren't connected with any of these organizations, and don't necessarily endorse their products or services. Except OpendTect, which we definitely do endorse.